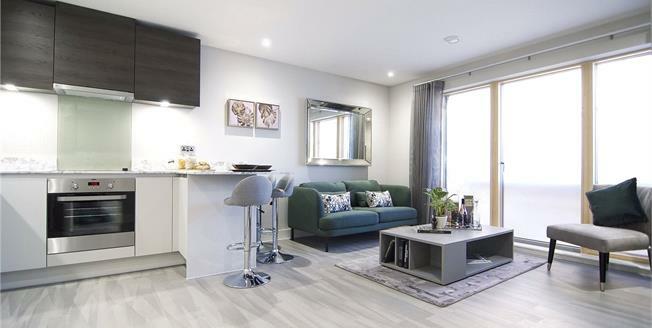 Vanburgh Court offers an impressive collection of high specification 1 & 2 bedroom apartments in Slough just 200 metres from the Crossrail station and the bustling town centre. With Help to Buy and tailormade incentives available to get you moving. Each new apartment will deliver on both style and functionality, with attention paid to every detail. A lift service will provide easy access to every floor and will benefit from a private, internal store on each level. Secure, underground parking and part-time concierge is also available. Each apartment comes with the benefit of a 10 year guarantee. Vanburgh Court is a superb place to call home and provides an exceptional opportunity for your first home or investment. Slough's lively high street is just five minutes away. While it has benefited from a recent facelift, both the high street and the wider town is currently undergoing a multi-million pound regeneration to both create and enhance the community. Living in Slough, you can benefit from a host of sports and leisure facilities on your doorstep. From a plethora of local parks and green spaces to a wide variety of leisure centres, sports grounds and community facilities, there is something for everyone here. On selected homes only. For a limited time only. Subject to status, terms and conditions apply. Not available in conjunction with any other offer. Capped at 6 months from completion date and up to £8000. Vanburgh Court enjoys a truly unrivalled location. Perfectly positioned, just 200 metres from Slough Railway Station, which affords you links to London Paddington in less than 20 minutes. What's more the opening of Crossrail will ensure even quicker access to the Capital. Via road, in just five minutes by car you can be on the M4, with easy access to both London and Bristol. The M25 is approximately 20 minutes away by car, whilst the M40 can be reached in approximately 15 minutes. For the cyclist, designated cycle pathways run throughout the town. There are also several bus routes. For the international traveller, Heathrow is approximately 15 minutes by car. Whether you're travelling into the city on your daily commute or are making the most of London's exciting attractions, you'll find the transport links from Vanburgh Court are exceptional.